Marco Bianchi, an expert in Nordic languages at Sweden’s Uppsala University, has recently studied 1,000 ancient runic inscriptions from northern Sweden and has concluded that most are meaningless. The majority of contemporary Vikings were illiterate, Bianchi says, and the inscribed runestones seem to him to be a bold attempt to prove otherwise. 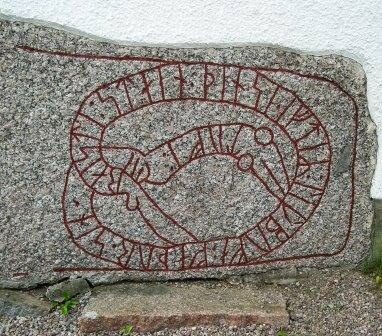 This entry was posted in Developments, Inscriptions, Sweden, Vikings, Writing. Bookmark the permalink.